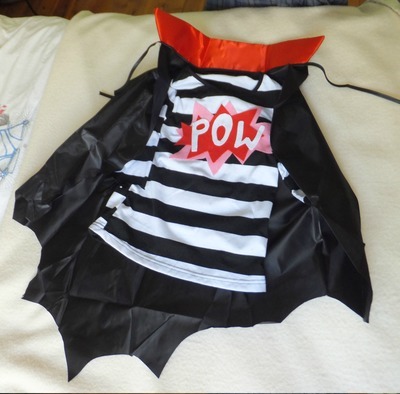 Have a superhero dress up for the kids? Make a simple outfit with just felt and clothes from the dress up box. Find your craft scraps felt. If you have sticky felt on the back, this eliminates the need for glue. Cut out your two background pow icons the same size, laying one felt colour over the other. Cut out your second one slightly smaller. Cut out your letters...POW! BAM! 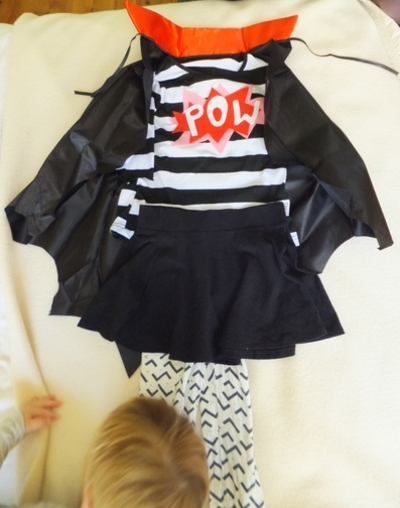 Stick onto Tshirt and accesorize with items from the dress up box. Your superhero is ready to go.